We know that the deleted or formatted data can be recovered by data recovery software. 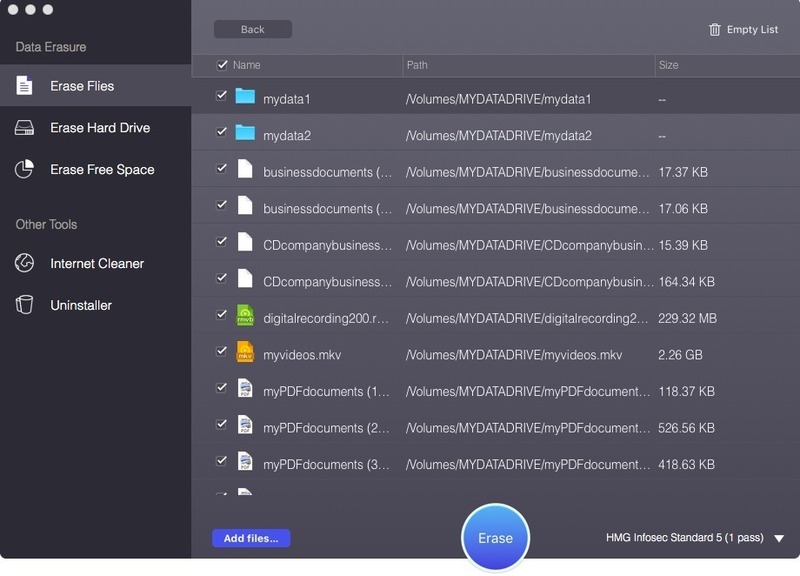 So, if you are going to sell, donate or giveaway your Mac, USB, digital camera, you should make sure your private data has been permanently erased rather than just deleting the files, emptying trash bin or formatting the device. AweEraser for Mac offers government & military level data erasure standards to ensure permanently destroying the targeted data without affecting the operating life of your computer or device. The certified data erasure methods include HMG Infosec Standard 5, German FOFIS, DOD 5220.22-M, U.S. Army AR380-19, Peter Gutmann’s algorithm, etc. Next story PhotoNinja 1.3.7a – High-quality Raw image converter.